Only Legal Business subscribers gain full access to our highly-regarded reporting, in-depth analysis and commentary on the commercial legal market. 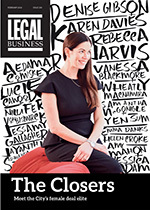 Subscribers to Legal Business benefit from access to printed copies of our monthly title – the ideal format for busy senior lawyers. Readers also gain full online access, including data services and our archive, as well as being able to download our acclaimed new app. Must have features include our Legal Business 100 and Global 100 specials, which provide essential benchmarking data and market intelligence for leading law firms. Other regular features include our annual survey of in-house counsel and the Global London focus on the leading international law firms operating in the City. 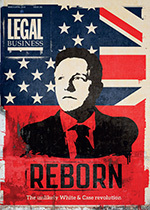 Legal Business has also carved out a proud reputation for agenda-setting long-form analysis and punchy comment pieces. The best way to receive the title is through Legal Business +, a firm-wide corporate subscription that provides a range of benefits to subscribing law firms. This allows the entire firm to gain access to Legal Business’ acclaimed content via print, online and the app. Firm-wide digital access online and via our app edition, including access to our archive, in addition to print copies for partners. Commissioning priority in collaborations with Legal Business in editorial projects and our growing events portfolio. This includes Life During Law profiles and being a participant in our regular series of roundtable debates. Legal Business content for marketing proposals on request. The right to an annual meeting with our managing editor to discuss editorial opportunities. Access to historical Legal Business’ historical data in key surveys. For more information on the options for subscribers, please contact Legal Business’ subscriptions.